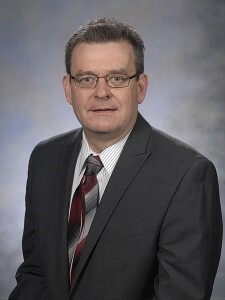 Dr. David Norton, Interim Director – David P. Norton, Ph.D., became vice president for research at the University of Florida in January 2012. He had served as associate dean for research in the UF College of Engineering since 2009. He is also a professor in the Department of Materials Science and Engineering. Dr. Norton came to UF in 2000 after 11 years at Oak Ridge National Laboratory. His research interests primarily focus on electronic, photonic and magnetic thin film materials. He has published more than 300 articles in refereed journals and books, presented numerous invited papers and lectures at national and international conferences, and organized conferences and workshops in the areas of electronic oxides and laser processing. He is a Fellow of the American Vacuum Society, the American Physical Society and the American Association for the Advancement of Science, and a member of the Materials Research Society and the Electrochemical Society. Dr. Norton conducted his undergraduate and graduate studies within the Department of Electrical and Computer Engineering at Louisiana State University, receiving his doctorate in 1989. Dr. Terry Parker is the Provost of Florida Polytechnic University, the only public university in Florida exclusively dedicated to the study of science, technology, engineering and math (STEM). As Provost, Dr. Parker oversees all aspects of the University’s growth, including attracting new students, recruiting faculty, and working with faculty to secure research grants. He also plays a leadership role in academic development, including creating quality curriculum and expanding the degrees offered by the institution. Dr. Parker brings 40 years of experience in academia and research to Florida Poly, including nine years of senior academic leadership experience. Most recently he served as Provost and Executive Vice President of the Colorado School of Mines, one of the world’s leading engineering institutions. Under his leadership as Provost, the school underwent a major expansion that included a 35 percent growth in the faculty, the addition of new academic and research programs and a significant addition to the academic capital plant with the addition of new buildings. 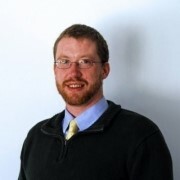 Dr. Parker rose through the ranks at Mines, beginning as an untenured Associate Professor in 1994, acquiring tenure in 1997, and receiving the rank Professor in 2003. Dr. Parker was active in his service support of the campus and served on numerous campus committees including time as Chair of both the Campus Promotion and Tenure Committee and the Campus Research Council. He was selected to be the Director of the Engineering Division in 2006 and transitioned into his role as Provost in January of 2011. His academic experience as a professor at Mines spans 22 years, a period in which he collected numerous awards and honors, including winner of the National Science Foundation Career Award. Before entering academia, Dr. Parker held several industry positions, including time as a traditional research and development engineer for IBM/Office Products Division and then as a pure research engineer for Physical Sciences Incorporated. Dr. Parker holds a bachelor’s, master’s and Ph.D in Mechanical Engineering from Stanford University and University of California at Berkeley. Garrett Nilsen is the program manager for the Technology to Market team of US Department of Energy (Sunshot Initiatives), having spent the previous five years serving as a technology advisor for the team. He works with businesses of all sizes focusing on the development of innovative products and manufacturing technologies to help drive down costs and increase the deployment of solar energy. Prior to joining SunShot, Garrett was in graduate school in Sweden and Germany. Prior to that, he worked for Technologies Solutions and Invention, a small business in Connecticut that was an awardee on government contracts to develop optics-based devices for various government customers. Garrett has a B.S. in physics from Union College (NY) and an M.S. in solar energy engineering from Dalarna University in Sweden. Kelley Smith Burk serves as the Director for the Florida Department of Agriculture and Consumer Services’ Office of Energy. The office is responsible for the development of energy policy and programs for the state as well as promoting the use of renewable energy and energy efficient technologies. Mrs. Burk’s responsibilities include supervision and oversight of policy development, program and grant design, and legislative tracking. Prior to her work with the Office of Energy, Mrs. Burk worked with the Florida Department of Environmental Protection’s Office of Strategic Projects and Planning. In this role, Mrs. Burk staffed the Governor’s Action Team on Energy and Climate Change, providing a range of services including managing the transportation and land use technical working group, developing reports and helping draft the Team’s Phase I and Phase II reports. Mrs. Burk holds a Bachelor of Arts degree in History from Florida State University and a Master’s degree in Public Policy from Pepperdine University. 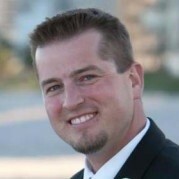 Thomas L. "Tom" Hernandez is senior vice presidentof Business Strategy and Renewables for Tampa Electric. He has primary responsibility for developing and securing approval of the strategic growth plan for Florida Operations and developing clean and sustainable renewable energy technologies that will be transformative and affordable for the company's nearly 730,000 customers. Previously, Hernandez was vice president of Energy Supply, vice president of Energy Delivery and Customer Services and vice president of Regulatory Affairs. He joined Tampa Electric in August 1982 as an associate engineer in the Production Department. During his career with the company, he has held a variety of positions in operations, engineering, planning, marketing, fuels and environmental. Hernandez received his Bachelor of Science degree in chemical engineering from Louisiana State University. He is a member of the American Institute of Chemical Engineers. Hernandez serves on the board of The Florida Aquarium. 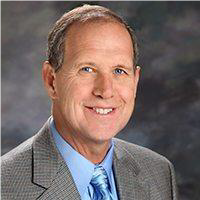 He previously served eight years on the Children's Board of Hillsborough County, including as chair and treasurer. He is a past executive board member and chair of the Resource Working Group of the Florida Electric Power Coordination Group. GabrielAlsenas serves as a General Manager at Florida Atlantic University’s (FAU) Southeast National Marine Renewable Energy Center (SNMREC). Established as one of three U.S. Marine renewable energy centers in 2010. SNMERC seeks to advance the recovery of utility-scale energy from the Ocean’s renewable resources with special emphasis on those resources available to the Southeastern US: ocean currents and thermal gradients. The Center works with industry, academia, and government to provide test infrastructure, in situ measurements, and other key enablers. Prior to joining the Center in 2007, Mr. Alsenas worked as a graduate student engineer for the Department of Ocean Engineering at FAU, focused on US Navy future projects, prototypes, and sensor systems. Mr. Alsenas completed his B.S. and M.S. degrees in Ocean and Systems Engineering at FAU after a five year sabbatical from The Ohio State University to found an international internet consulting business. Dr. Subrata Bandyophadyay (Bandy) currently serves as a Senior Manager in the EHS group of Mosaic, and is responsible for regulatory compliance and monitoring of all Phosphate Operations, which include several mines and fertilizer manufacturing facilities in Central Florida. Previously Dr. Bandy held corporate positions at Mosaic as Water Strategy Manager, and was involved in developing long term strategies for water resources for all operations within the U.S. He has a Doctor of Science in Environmental Engineering from Tulane University in New Orleans, an MBA from University of South Florida, Tampa, and a Bachelor of Civil Engineering degree from India. Dr. Bandy is a registered professional engineer in Florida and Louisiana. He has been a Tampa resident since 1998. Previously Dr. Bandy served as a Vice President at HDR Engineering, a large consulting company and let hundreds of professionals in the southeast. His consulting experience includes management of multimillion dollar projects involving diverse areas of civil and environmental engineering. Dr. Bandy has served as technical expert in several large scale water resources projects including watershed management plans, stormwater master plans, water quality studies, natural systems restoration, and environmental impact analysis. Dr. Bandy’s research work involves bioremediation of hazardous wastes, and “fate and transport” of selected contaminants in the waste stream. He has authored several publications and co-authored book chapters in different areas of environmental engineering and science.